I had lunch with Dayalis Zamora and Faith Maniti before they head off to college. 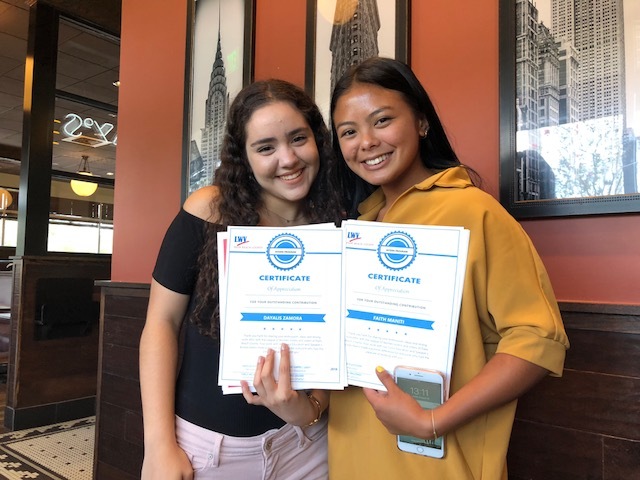 They were both very proud of their certificates from the League Women Voters. Dayalis will be going to NYU and Faith will be at the University of Florida. Both of them eventually plan on becoming lawyers.